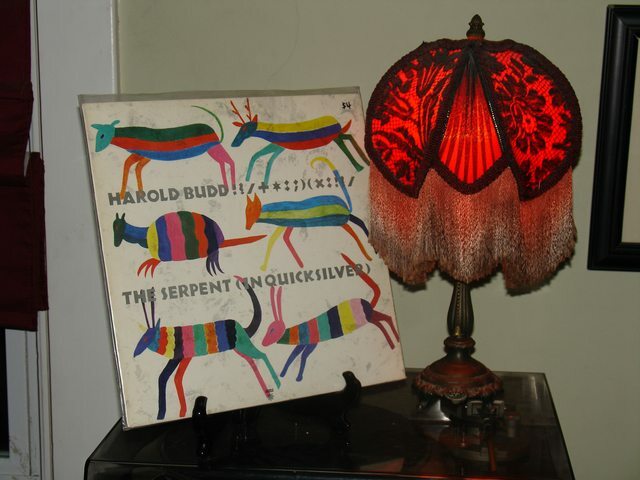 A timeless afternoon of ambient minimal piano with Harold Budd. Opening with The Serpent (In Quicksilver) from the Les Disques Du Crépuscule label in Belgium. And I'll be playing through much of Budd's catalog this afternoon to accompany my reading. Highlights will include Lovely Thunder, Budd's collab with Cocteau Twins for The Moon and the Melodies, Abandoned Cities, The Pavilion of Dreams, The Room, La Bella Vista, and the elegantly beautiful Eno and Daniel Lanois collaboration, The Pearl. As The Pearl is arguably his most celebrated work, I'll embed that album below. Last edited by rostasi; 03-10-2017 at 07:13 PM. A brief momentary departure from the ambient bliss as my mind suddenly wandered to the closing track from Tom Waits' Mule Variations LP - "Come On Up To The House." In "Come On Up The House" Tom Waits uses his grizzly bear growl, to describe a safe haven/hope in a dark world. "Well the moon is broken, And the sky is cracked, Come on up to the house." He paraphrases a question by 17th century philosopher, Thomas Hobbes, "Does life seem nasty, brutish and short?" and answers with, "Come on up the house." In a fan forum the line, "Come down off the cross, We can use the wood" is interpreted as meaning, "That all the energy you put into self-pity in an attempt to alienate yourself or rise above everybody else, could be put into building something worthwhile." Certainly the sort of motivational message I could use at this point in my life. Thanks, brain. Tuvan throat singing with musical accompaniment that—I kid you not—sounds like acoustic doom metal. This is music to smite your enemies to. Youtube recommended a "Best of 80s New Zealand pop" playlist to me, and who was I to say no? edit: Oops, wrong song.. Borghesia is the opposite of a lighthearted 80s pop song. Fixing momentarily! Last edited by rostasi; 03-10-2017 at 07:14 PM. Are you there, Em? It's me. Batlord. It's been too long.